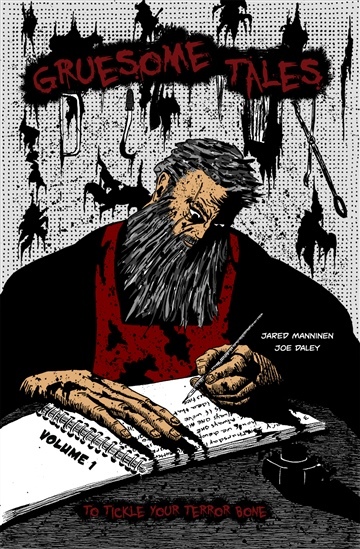 This graphic novel anthology of horror comics, written and illustrated by Jared Manninen was created in the storytelling tradition of 1950s horror comics such as EC Comics' Shock Suspense Stories and Tales from the Crypt (with their signature "twist" endings). Gruesome Tales to Tickle Your Terror Bone, Volume 1 is 102 pages and contains a 44-page story, two 22-page stories, and three flash fiction stories. 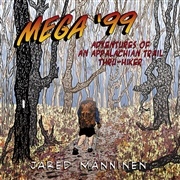 It was originally designed for print, but the PDF version of the book is available here. Visit MakotoPress.com for sample pages and to purchase a print copy. 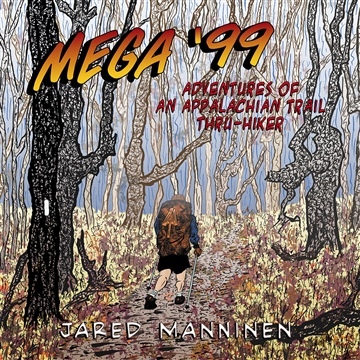 Jared Manninen has been a US Marine Corp infantryman, marathon runner, thru-hiker of the Appalachian Trail, professional massage therapist, college graduate (BA in Communications and AA in Business—yes in that order), and an artist and writer. Along the way, he’s discovered that he has a particular knack for breaking things apart and putting them back together.